As he was completing what is now known as the first draft, Jefferson counseled with Franklin and Adams. Jefferson had written, “. . . that among these [rights] are Life, Liberty and the [individual] ownership of property. Adams strongly urged that the pursuit of virtue be added. Jefferson, knowing that something special was on his parchment, adamantly insisted the enumerated rights must be the three—in that order. Franklin, demonstrating his value to our emerging nation, counseled they could accomplish both goals by simply covering virtue and property with the phrase, pursuit of happiness. It was agreed. Jefferson then presented his first draft to the full committee. One charge against the tyrant was struck from the document (that of condemning him for introducing the slave trade into the colonies). Jefferson’s final draft was presented to the Congress for action. 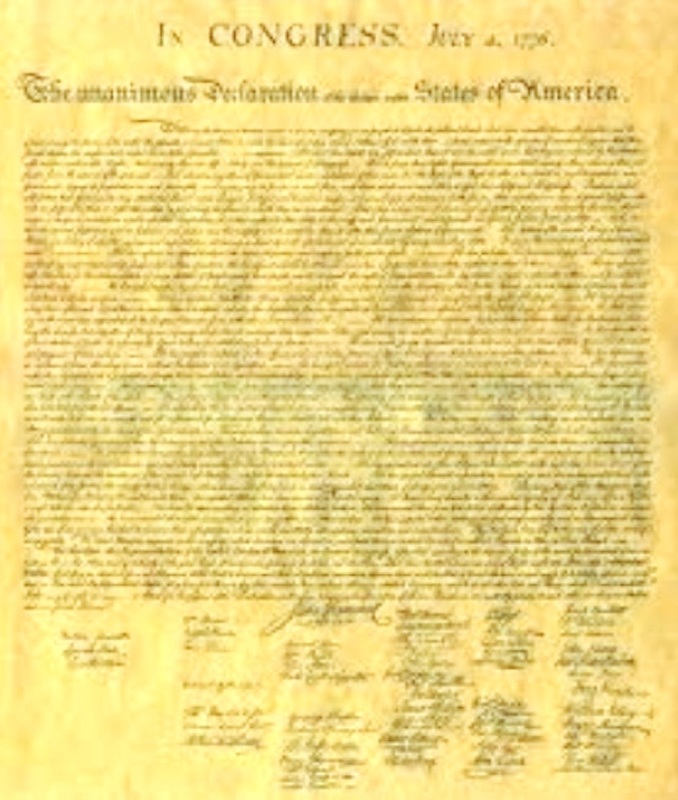 It was read and adopted July 2, 1776. Here is the dramatization of the adoption from the HBO miniseries, John Adams. Today, as part of the continuing determined effort to “fundamentally transform” America, the Declaration of Independence is alternately ignored, attacked and denigrated. We must be equipped and motivated to successfully defend this gift to the entire world but especially to America. 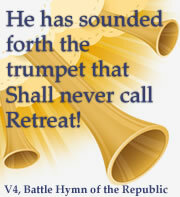 Tomorrow, July 3, 2012, we will fill that need here at The Patriot’s Trumpet. 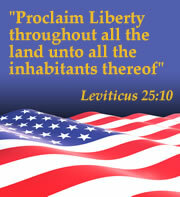 This entry was posted in Celebrating America, Reclaiming and Restoring America. Bookmark the permalink.